Examining the major academic and policy debates over China’s rise and related policy issues, this book looks into the motivations and intentions of a rising China. Most of the scholarly works on China’s rise approach the question at a structural level by looking at the international system and the systemic impact on China’s foreign policy. Traditional Realist theorists define China as a revisionist power eager to address wrongs done to them in history, whilst some cultural and historical analyses attest that China’s strategic culture has been offensive despite its weak material capability. 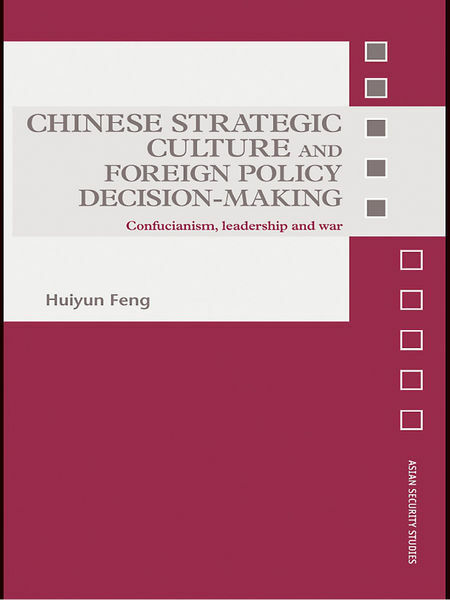 Huiyun Feng’s path-breaking contribution to the debate tests these rival hypotheses by examining systematically the beliefs of contemporary Chinese leaders and their strategic interactions with other states since 1949 when the communist regime came to power. The focus is on tracing the historical roots of Chinese strategic culture and its links to the decision-making of six key Chinese leaders via their belief systems. Chinese Strategic Culture will be of interest to students of Chinese politics, foreign policy, strategic theory and international relations in general.